Elaine Branham Taylor, age 88, passed away in Mesa, Arizona on November 24, 2017. She was born in Globe, Arizona on July 25, 1929 to William Kelsie Branham and Geneva Tweddell Branham and was the 2nd of 4 children. The family moved to Thatcher, AZ when she was 2, and she graduated from high school there. The family then moved to Lehi, AZ so that Elaine could attend college in Tempe. She married her eternal sweetheart, Alma Reeves Taylor, Jr. on January 2, 1948 in the Mesa Arizona LDS Temple. 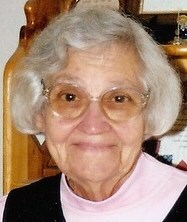 Elaine was a devoted wife, mother, grandmother & great- grandmother. She is survived by her children Kathleen (Mabry) Perry, Alma III (Peggy), Nancy (Bob) Backus, Colleen (Barry) Root, Betty (Calvin) Fife, Jerald (Maggie) and Larry (Jolyn), 39 grandchildren, 94 great-grandchildren and 1 great-great-grandchild. Funeral services will be held Thursday, November 30, 2017 at 10:00 AM at The Church of Jesus Christ of Latter-day Saints, Udall Ward building, 15 West 1st Avenue, Mesa, AZ 85210. A visitation will precede the service from 9:00-10:00 AM. Interment will follow at the City of Mesa Cemetery. I am very sorry for your loss . May the family receive the comfort that will help heal the pain of grief that is in your hearts . The beautiful words at Psalm 94:19 and Daniel 12:2 will help provide relief and hope .